For great health, the diet plays an important role, yet that’s not all there is to it. To achieve optimal health, you need a combination of a healthy diet, exercise, and a positive mood. This is where “Laughter is the best medicine” comes in. Every fall I travel to the South of Europe a nice warm village to stay over the winter. Usually, it’s a great time of the year. I enjoy planning and packing, yet, this year it was stressful for me. It started the month before, not knowing if we were going at all, something was needed and fast. Then it was I remembered Laughter Therapy – After a few laughs I started to feel much better, I stayed stress-free and enjoyed the planning, packing and trip. Laughter can be infectious. When you hear the sound of laughter, you can’t help but laugh yourself. When laughter is shared among others, it causes a binding between people. It increases both intimacy and happiness. With this ability to renew your health and heal you, laughter can be a great resource for whatever problems you may have. It can also strengthen your relationships. It can support your emotional and physical health and well-being. Laughter can help the heart. Laughter can increase the ability of the blood vessels to nourish all parts of the body. It can increase your blood flow, which can help prevent heart attacks and other types of heart diseases. Laughter is known to have many health benefits, including physical, emotional, and social benefits. Laughter simply makes a person feel good. This good feeling persists even when you are done laughing. Laughter helps you maintain an optimistic and positive outlook. Which means you can easier get through situations of loss, disappointments, and other difficult situations. Laughter is more than just a protection against pain and sadness. It gives you the strength and courage to find other sources of hope and meaning. Even when you find yourself in the most difficult of times, laughter or even a smile can take you far when it comes to feeling better. Laughter really is a bit contagious. When you hear someone else laugh, it primes your brain and sets you up to join that person in laughing, too. • Laughter allows you to relax. A good laugh can lessen stress and increase your energy levels so that you can remain focused and get more things accomplished. • Laughter can lessen distress. It is hard to feel sad, anxious, or angry when you are instead laughing. • Laughter shifts your perspective. It allows you to see things in a less threatening and more realistic light. Being humorous helps create a psychological distance between you and stressful events so that you don’t feel so overwhelmed. When you use humor and engage in playful communication with others, your relationships become stronger. You trigger positive emotions and an emotional connection with those you are laughing with. A positive bond develops—one that can act as a powerful buffer against disappointment, disagreements, and stress. When you laugh with others, this is a more powerful thing than when you laugh alone. 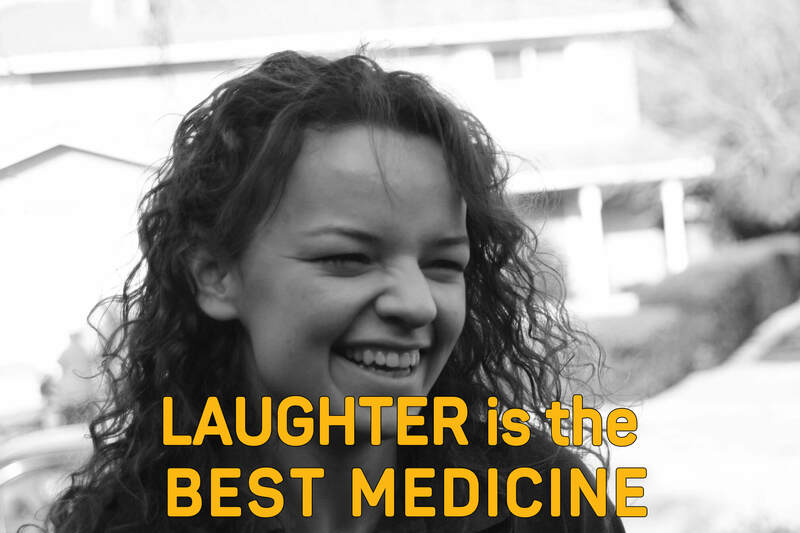 Laughter can do a lot to help you feel better on a physical, emotional, and cognitive level. Don’t be afraid to share a good laugh with others for all around better health.